In preparation of the upcoming gardening season, I have researching seeds as well as searching through the displays at local stores. One of my favorite vegetables is green beans, so naturally they are one of my favorite things to grow. I plan to grow both pole beans and bush beans this year as well as grow beans of different colors: green, yellow, and purple. Here are the seed packets I have chosen so far and the reason why I chose them. I wanted some purple beans this year, because I thought they would be fun to grow and make for great pictures here on the website. I picked a packet from Ferry Morse, that promises high productivity. These beans are stringless and since they are purple it will be easier to find them amongst the green leaves. They should be ready to harvest in 53 days. Sorry to disappoint you if you don’t know already, these purple beans will turn green when cooked. Last year I grew Cherokee Wax beans, because I love the contrast of green and yellow beans on my dinner plate. What I did not like about the Cherokee Wax was that they got really meaty with large black seeds inside, rather quickly. My wife does not like really meaty beans, so the search was on for a thin variety. I believe I found that with the French Gold (packet from Renee’s Garden seeds). These are slim beans and like the purple are easy to find. It should take about 60 days to harvest. These are a classic green bean, they can be found at any store that sells seeds. I grew them last year with great results. They provide heavy yields and are ready to harvest in 55 days. I don’t know how to pronounce them but I chose this heirloom variety from Burpee for their slenderness and that fact that in only 48 days I should have my first harvest. These beans are considered a french filt bean or a haricot vert. Another one I can’t pronounce and another heirloom. These seeeds from Seeds of Change promise to be tender, elegant, stringless, and most importantly delicious. I was looking for a yellow bush bean and thought I would give this one a try. Harvest is expected within 55-60 days. I am excited to see how all these beans do and how good they taste. Keep checking back on the website for pictures and updates on my progress. 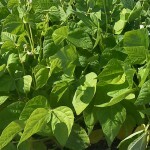 I live in zone 5, so my frost free date for 2010 is May 25, so that is around when I plan to plant my beans.